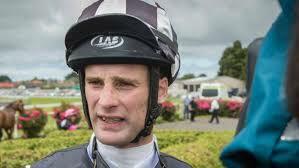 Johnathan Parkes, 5 wins clear on the Jockeys’ Premiership, won’t be riding at Riccarton on Cup Day. “His rides were too light. so he’ll be going to Tauranga and ride for Fraser Auret instead,” said Parkes’ agent Bev Sweeney. Sweeney said there were no firm plans to chase the Premiership. “Johnathan struggles to ride at meetings a couple of days apart. He’s a big boy and alt the wasting is tough on him.